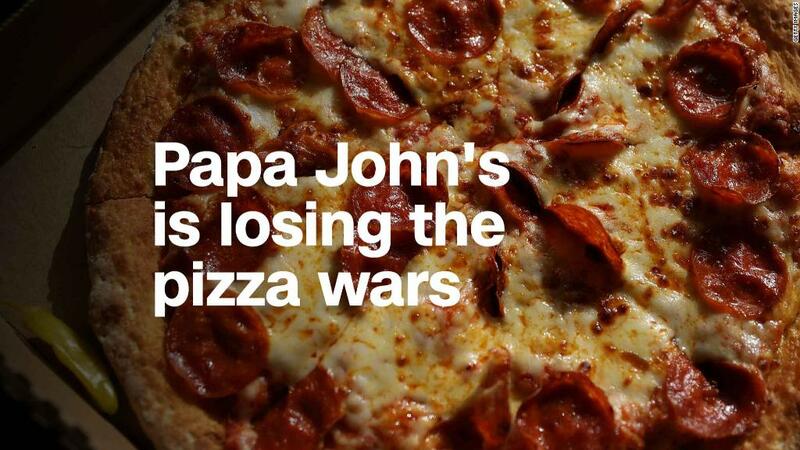 John Schnatter, the ousted founder of pizza chain Papa John's, is suing his former company. In a lawsuit filed in Delaware Chancery Court on Thursday, Schnatter's lawyers say he is seeking to inspect company documents "because of the unexplained and heavy-handed way in which the company has treated him since the publication of a story that falsely accused him of using a racial slur." Schnatter has admitted he said the N-word on a conference call with a marketing firm. Schnatter claimed the firm asked if he was racist, and he used the N-word in describing how KFC's Colonel Sanders used to talk. Schnatter has since said he also told the firm that he himself wouldn't ever use that word. The company asked him to resign as chairman of the board, which he did, though he remains on the board as a director. He owns 29% of Papa John's (PZZA) stock. Schnatter has since said he regrets stepping away from the company. He also accused the board of not "doing any investigation" and said its decision to remove him as chairman was based on "rumor and innuendo," according to a letter he sent to the board earlier this month. Papa John's has also removed Schnatter from its commercials and marketing materials and kicked him out of office space at its headquarters. In the complaint filed Thursday, Schnatter alleges that the other members of the Papa John's board may have "breached their fiduciary duties" when they decided to sever certain business ties with him. "Either the purportedly independent directors acted without adequate information and breached their duty of care," or they "planned this coup in advance," the complain claims. "Mr. Schnatter is entitled to determine whether his fellow directors have been grossly negligent or are acting in bad faith, or both." The complaint states that Schnatter should be able to inspect the "books and records" at Papa John's, arguing he has "unfettered rights" to do so. Garland Kelley, an attorney for Schnatter, said they are seeking access to communications "among and between board members and lawyers." Papa John's said in a statement that it is providing Schnatter with "all of the materials he is entitled to as a director." "We will not let his numerous misstatements in the complaint and elsewhere distract us from the important work we are doing to move the business forward," the statement says. — CNN's Rob McLean contributed to this report.